Airlock - Battery Saver for Android | The single best Android app to extend your battery life. A lot. Airlock – Battery Saver for Android The single best Android app to extend your battery life. A lot. The single best Android app to extend your device battery life. A lot. Airlock greatly improves the battery life of your Android device by putting it in Airplane mode when you're not using it. Airlock will make your device go on and on for a long time. Why is Airlock so effective, how does it work? The single most battery consuming action on Android is when your screen is activated and when your device communicates by using the network, which severely drains your battery. Airlock solves this by putting your device into Airplane mode when you turn your screen off which greatly improves the battery-life on your device. What level of battery-improvement can i expect? The battery life improvement varies depending on the Android device, but will make a considerable difference to the overall battery life. 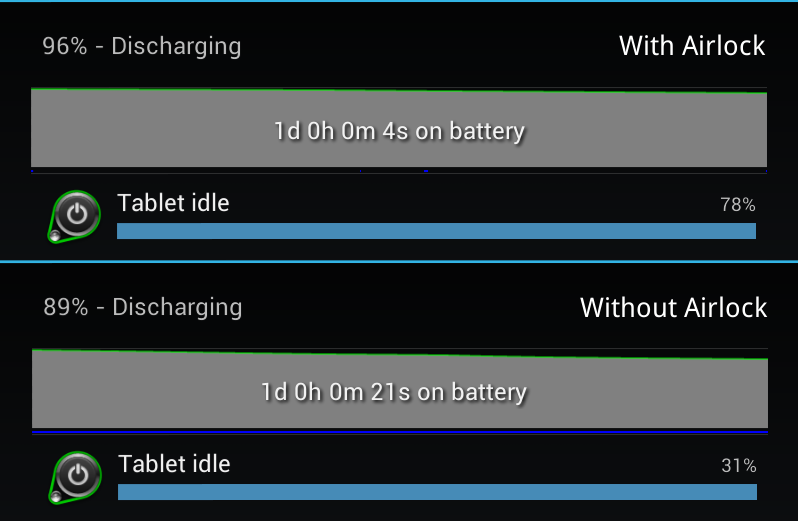 The diagram on the right details idle usage for 24 hour on a Nexus 7 both with Airlock and without Airlock activated. Airlock is 275% more battery efficient in this test. Which devices are suitable for Airlock? 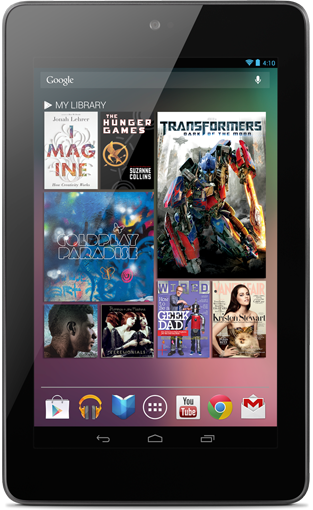 Airlock works on any Android device but is ideal for tablets (such as Nexus 7, Kindle fire and more), media players and android devices that aren’t primarily used as phones. The reason for this is that your Android device won't be able to receive any calls or messages when Airlock-mode is active since the network has been disabled. Can I still have some connectivity during Airlock-mode? Users that still wish to have some connectivity during Airlock-mode can enable periodical syncing, which allows Airlock to enable network from time to time to allow the device to connect and sync with the network. Please be advised that during this mode it’s still not possible to receive calls, but your device will sync your mail, calendar etc. While this option slightly degrade the efficiency of Airlock it still conserve a lot of battery. Stuck and need help? No worries, we're here to help you. Just drop us a mail at [email protected] and we'll get back to you as soon as possible. Love it or hate it? Let us know your experiences with Airlock. You can email us on [email protected]. Please let us know in the email if you don't allow us to publish your thoughts on this website. TomPod Apps is a small, one man, operation which believe in indie development as well as making great apps for any platform. We mainly develop Web and Android-apps as well as iOS apps.